One of the strangest results in chess is the stalemate, where the player who is winning is forced to settle for a draw because her opponent has no legal moves to make. The stalemate has been a topic of discussion among chess aficionados for centuries, with some of the world's great players arguing that a stalemate should be a win for the side that forces this situation. The rule has undergone many changes throughout the history of the game. In the early days of chess – or, more accurately, pre-chess games such as shatranj – the stalemate was considered a win for the side forcing the situation. When Italians began to codify modern chess rules in the 13th century, though, the stalemate became a draw, and checkmate was considered the only way to win. But the stalemate-equals-a-tie rule was far from universal. In some parts of Europe, other than in Italy, the stalemate was still considered a win for many centuries. In some countries, particularly in parts of Asia until rather recently, players were not permitted to make a move that would force a stalemate. This is similar to the rule where a king cannot move onto the square adjacent the opposing king. Indeed, in England for several hundred years, the stalemated king was actually considered the victor. So, a player in a weaker position than his opponent, even one down to only a king, would have won the game if forced into a stalemate under the British rules. Since the stalemate rule was enacted in the 1800s, some critics have argued that a stalemate should be treated as a win. They contend that the player creating the stalemate has forced the opponent into an unwinnable spot, where any move would require the loss of the king. Losing a king, of course, is how you lose in chess. These critics also argue that most draws in chess are the result of the stalemate rule – particularly endgames where a king and pawn cannot defeat a lone king – and that removing this rule would increase the percentage of decisive games at all levels of chess. By contrast, stalemate proponents argue that the chess world now has a long tradition of treating stalemate as a draw and that players often use the stalemate as a defensive tactic. 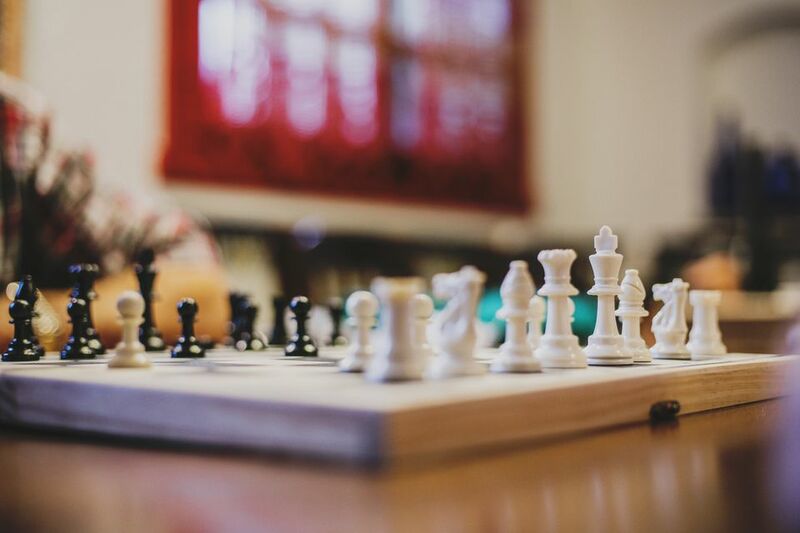 They also note that material advantage, where a player has pieces of greater value than their opponent, tends to be the deciding factor in a chess game. However, this is countered by other considerations, such as development, initiative and pawn structure, all of which can be used to balance or even overcome a material deficit. Without the stalemate option, the player with even a single pawn advantage would almost always win, they argue. Given that there is no movement to overturn the rule stating that a stalemate is a draw, it's likely that this rule will remain unchanged for the foreseeable future. However, it's certainly a question that will persist. Should chess ever seem in danger of suffering a "draw death," making a stalemate a win could be a rule change that tournament organizers may try in an effort to increase the number of decisive games in elite chess.